Al Aleem: The Bestower of true Dreams – Is the West ready for Islam? 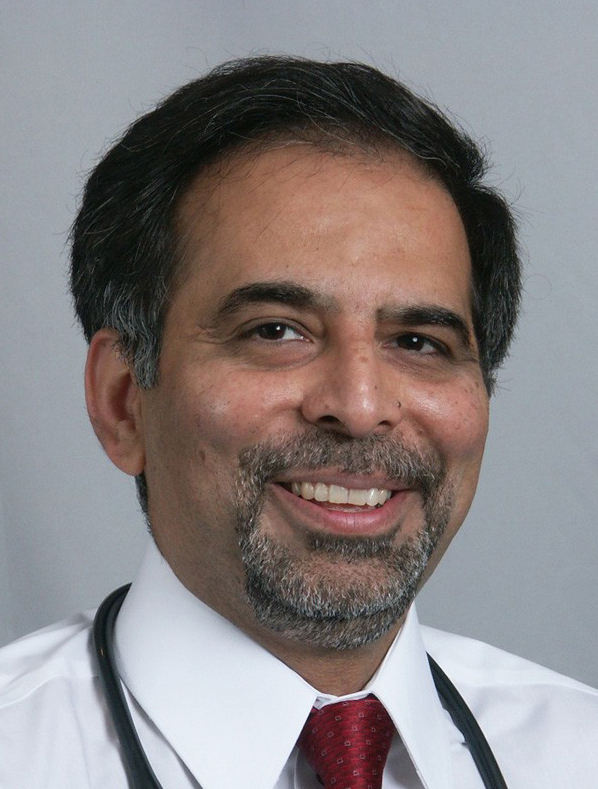 Zia Shah MD Affiliation: The Muslim Times Website: http://themuslimtime… He is a physician practicing in Upstate New York. He is the Chief Editor of monthly, Alislam eGazette, with a subscription of more than 40,000. He is also Chair of Religion and Science for the Muslim Sunrise, the oldest Muslim publication in North America. He has authored more than 300 articles on Islam, Christianity, Religion & Science. Psychologists have used various illustrative analogies to describe the relationship and function of two levels of mind. One approach to this problem is by comparing the conscious and subconscious mind to coral islands found in some parts of the ocean.On the surface of these coral islands there is a small circular ridge of a rock­like substance surrounded by ocean water. On this protruding edge is found a fringe of tropic vegetation. This is all there is to be seen on the surface, with no suggestion of the mighty structure down to the ocean’s floor built by uncountable millions of coral creatures during eons of time. The human mind is to a degree like these coral islands.Yet another analogy can be that of a well. This will be an old fashioned well six to eight feet in diameter, walled up with stones and filled with water. The well is the human mind. Sometimes we think of it in terms of the diameter enclosed within the brick walls. However, on deeper reflection, it is an ocean of water, extending its subterranean depth, into the subsurface water extending miles in every direction away from the brick wall. The only point at which the infinite reservoir of mind activity can be observed is at the very surface of the water in the well. ex­perience and reality much greater in extent and in creative power than the conscious part of the mind, but it is obscure and is hidden from superficial examination. This sub­conscious mind carries with it all the mental images and emotional states which have been experienced during the life of the indi­vidual. In the analogy of well it extends under the surface for miles and miles as ground water. Promised Messiah as notes that the blessings of Al Rahman God are general and for all. He writes in Hakika Tul Wahee about the nature of true dreams or revelations, “God All Mighty has with a few exceptions granted all men with eyes, nose and ears and blessed them with sense of smell and other senses and has not been miserly towards any nation. 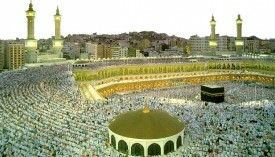 Likewise, Allah has not excluded any people or nation from the blessings of the basic seed of the spiritual faculties. Just like you see that the sunlight reaches every place and no place whether clean or dirty is exempted from it. Same is the law for the light of the spiritual sun and it shines in all places regardless of the spiritual station. However, it is true that this spiritual light loves a heart that is clean, pure and true.”  In other words, dreams, even the true ones, are a shared feature among all humans. There are, however, some differences in the true dreams of the ordinary and the pious. That will be examined later. In the cases described above, it may well be argued that all the necessary pieces of information needed for the resolution of the problem were already in the conscious mind, the subconscious only proving to be a more powerful tool for synthesizing such information in some mysterious manner. It is possible to attribute Dr. Otto Loewi’s dreams to the subconscious mind for it can be argued that subconscious had all the ingredients that went into the dream. But what about dream or revelation content that is totally foreign to that person. Sometimes the revelation can be in a language foreign to the recipient. This novelty of content is true for many a dreams and revelations of the prophets of Allah. Many instances can be cited from the life of the Holy Prophet Muhammad saw and Promised Messiah as . But, for the purposes of this article, let us examine two examples from the secular world in the experience of Friedrich August Kekule and Elias Howe. Di­vine revelations may not occur only in dreams but also while one is awake. Once Hazrat Umar ra was deliv­ering a Friday Sermon and suddenly shouted, “O Saria, towards the mountain.” This, out of context and least expected, did sur­prise the audience who dared to seek an explanation after the Sermon. Hazrat Umar ra told them that he visualized that Saria’s army, engaged far away at that time, was in mortal dan­ger and could only save itself by moving into the shelter of the mountain there. He also said, “Allah has many troops and one of them may convey his message to them.” Later, the messenger, who brought the news of victory in that battle, was asked whether they had heard Hazrat Umar ra directing Saria to move towards the mountain. He confirmed that they did hear and it sounded like Hazrat Umar. They were able to save themselves by acting accordingly. This episode combines vision with verbal revelation and what was essentially meant far Saria was also heard by his troops, loud and clear. The Sura Yusuf goes onto describe the life history of Prophet Joseph as . He like his father and as had been promised became well versed in interpretation of dreams. He got a chance through Allah’s Providence to demonstrate his profound wisdom in this sphere and his repute reached the royal court. In time he was asked to interpret the following famous dream of the king of Egypt. According to the Quran, this dream was narrated to Joseph as, while he was serving a prison sentence under a false charge. It was a strange dream, which had baffled the great sages of the king’s court, but did not present any difficulty to Joseph as who rightly discerned its underlying message. It was this wise and masterly interpretation by him which was completely supported and testified by the events of subsequent years. Now it so happened that a servant of the king who had served a term with Joseph as in the same prison was present at this occasion. He too had seen a strange dream while in prison, which Joseph as had correctly interpreted, indicating that he would soon gain his freedom and return to serve his master, the king, once again. Hoping that Josephas might possibly interpret the dream of the king as well, he suggested that he should be sent to meet him. Having obtained permission, he visited Joseph as in prison and related the king’s dream to him. Joseph asimmediately grasped its significance and explained it so logically that there was no ambiguity left.Upon his return to the king, the servant related Josephs’ asinterpretation which ran as follows:In the seven years which would commence from the time of the dream, God would shower His blessings upon Egypt in the form of abundant rains, resulting in bountiful crops and fruits. After these seven years of bumper harvests, seven lean years would follow bringing drought in their wake. These years would result in disastrous famine unless crops from the previous seven years were saved and stored to compensate for the loss of the drought years. This interpretation impressed the king so profoundly that he issued orders for the immediate release of Joseph as who, opted instead to remain in prison until a fair enquiry was held and the false charges against him were dropped. It was after he was honorably acquitted and the real culprit confessed her crime that he agreed to be released. He was exceptionally honored by the king and was appointed minister of finance and economic affairs in his government. To the surprise of all, the events foretold in the dream came to pass exactly as interpreted by Joseph as . As such he not only saved the people of Egypt from disaster but also benefited the nomadic tribes and the populace of neighboring countries. The same events also resulted in reuniting Joseph as with his family. In the words of Hazrat Mirza Tahir Ahmad Khalifah Tul Masih IV, “A dream like this with its subsequent fulfillment could in no way be dismissed as a glutton’s overfed fancy.”  It cannot be attributed merely to the subconscious mind. The king’s subconscious mind had no access to this information whatsoever. This was a clear case of revelation. The Quranic description of this history should suffice for a Muslim to illustrate how the internal psychic mechanism is activated by God with a purpose. Promised Messiah as . Haqiqat-ul-Wahi, Ruhani Khaza’in, vol. 22, pp. 8. Promised Messiah as . Haqiqat-ul-Wahi, Ruhani Khaza’in, vol. 22, pp. 1-70. Promised Messiah as . Haqiqat-ul-Wahi, Ruhani Khaza’in, vol. 22, pp. 26. Promised Messiah as . Haqiqat-ul-Wahi, Ruhani Khaza’in, vol. 22, pp. 22-25. Promised Messiah as . Haqiqat-ul-Wahi, Ruhani Khaza’in, vol. 22, pp. 69.